The great auto-chrono race culminated with a photo finish in March 1969, just in time for that year’s Baselworld fair. The winner… team Breitling, Buren, Hamilton, Heuer and Dupois-Dupraz (henseforth known as Team BBHHDD), which spawned the Hamilton Chrono-Matic. Team BBHHDD began in 1965 with the goal of creating the first-ever automatic chronograph, which would become known as the Caliber 11 Chrono-Matic (although the code name was simply “99”). The concept was simple, combine the best components from each manufacturer to create an auto-chrono as quickly and efficiently as possible. Hamilton/Buren would develop the automatic winding mechanism for the Caliber 11 based off of the Buren “Intramatic”. The “Intramatic” used a planetary winding rotor which would in both directions via a gliding pinion. Dubois-Depraz modified their caliber 8510 with 12-hour and 30-minute registers, an oscillating pinion and coulisse-lever switching to serve as the Caliber 11’s chronograph module. And, Breitling and Heuer would handle the rest. After only about two years of development, team BBHHDD filed for a patent for the Caliber 11 automatic chronograph movement. While the patent wouldn’t actually be granted until August 31, 1972, Team BBHHDD completed the first successful tests on the Caliber 11 Chrono-Matic prototypes in 1968. So, it’s 1968 and the world’s first automatic chronograph movement works, and it works well. Actually, one year after filling for the Caliber 11’s patent, in September 1968, Breitling made a one-off, pre-production Caliber 11 Navitimer Chrono-Matic. 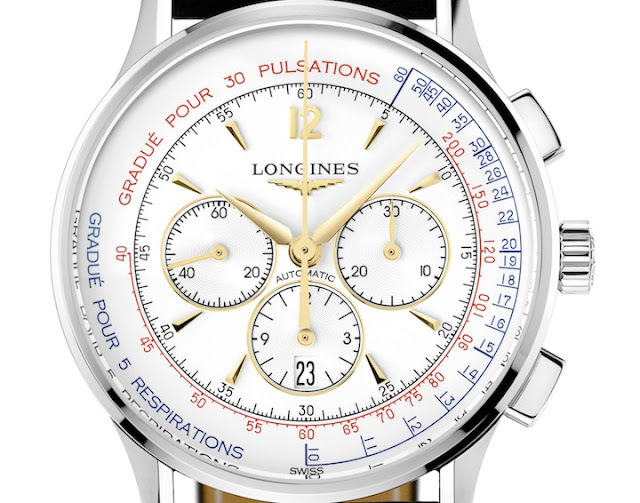 That watch is actually the first-ever self-winding chronograph. Obviously, the Hamilton Chrono-Matic came a bit later. Fast forward to March 3, 1969 and, after spending 500,000 Swiss Francs in development money, the consortium of Breitling, Buren, Hamilton, Heuer and Dupois-Dupraz unveiled the Caliber 11 automatic chronograph, a full month before Baselworld 1969. The brand new 17-jewel, unadjusted Caliber 11 Chrono-Matic movement beat at steady 19,800 vibrations-per-hour. Team BBHHDD beat Team Movado-Zenith by a month, as they unveiled the El Primero self-winding chronograph during Basel that year. While the Caliber 11 may have been first, there is no question that the El Primero has been more successful. The Caliber 11 may be most famous as a Heuer Monaco (Steve McQueen’s watch) or as a Breitling Navitimer Chrono-Matic, but this particlar watch right here is the Hamilton Chrono-Matic Caliber 11. And, I think it’s probably the best looking version of a Caliber 11 Chrono-Matic. Measuring 37mm in diameter by 41mm long (lug-to-lug) and 14mm thick, the Hamilton Chrono-Matic’s stainless steel case was pretty big for 1969. The Hamilton Chrono-Matic Caliber 11 wears extremely comfortably. It fits my wrist perfectly. And, I’m a lefty, so the crown on the left side and right-hand pushers are pretty much ideal. This example has a blue dial with white outer tachymetric scale and blue jump-date window. But, a white dial with blue scale was available, as well. In 1969, this watch cost $200 new, a bit less than $2,000 in today’s money. Coincidentally enough around $1,900 is exactly what an original Hamilton Chrono-Matic Caliber 11 in good condition is worth in today’s vintage watch market. In late 1969, however, people started to realize there were some issues in terms of reliability with the Caliber 11. So, at the end of 1969, the Caliber 11-I was introduced as an improvement. The 11-I ran strong until the Caliber 12 came out in 1973. So, if you can get your hands on a working and perfect 1969 Caliber 11, you have a truly rare watch on your hands. But, if you spot any Caliber 11 Chrono-Matic watch (Hamilton, Heuer, Breitling, or otherwise) for not too much money, be sure to pick one up. Oh yeah, check out the original ad from 1969 for the Hamilton Chrono-Matic below. It’s hilarious. Apparently, in 1969, 3-minute eggs were quite a big deal. 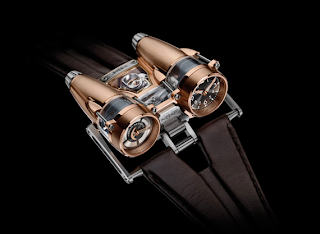 De Bethune Dream Watch 5: A Starfleet Watch? I have a Chrono-Matic that I’ve been trying to research, but I’m coming up empty. It is a Hamilton by design (case, crown, case back, etc. ), but the dial is a little different. It has an applied Buren logo and a nice, fat red dot at the three minute mark on the 30 min. register. The cal. 11 is signed, Hamilton and seems to be the earlier version. Have you ever seen the dial described? I’d be happy to send you some images for reference. I’d just like to explore the origins of this particular release. Thanks for any insight you may be able to provide! Hey Seth! The Buren efforts in the history of Caliber 11s are interesting. Hamilton acquired the Buren in 1966 (creating Hamilton-Buren). By 1969, Hamilton moved its manufacture from Lancaster, Pennsylvania to the Buren manufacture in Switzerland. Without Hamilton’s acquisition of Buren, there would be no Caliber 11. In 1954 Buren patented the first automatic micro-rotor, a technology that would eventually power the Caliber 11. I haven’t seen your exact watch (pictures would be awesome! ), but I would imaging that’s how it came to be. Hope that helps your research. When you get the whole story, let me know, I’d love to add it to the site. Thanks! I also have a Hamilton Chrono-matic with a red paint dot at the 3 min mark on the 30 min register. It has a black and white dial with date window. I have seen other photos of this dial but no red dot. Any idea of the significance of this ?